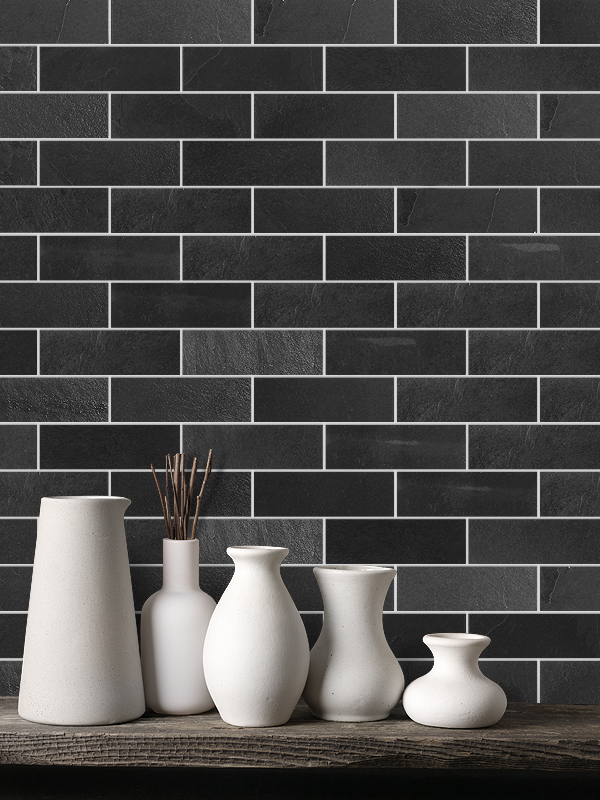 Let the darkest stones that nature has to offer to adorn your kitchen walls with this striking subway black dark gray slate backsplash tile. Ideal for more modern spaces that want a clean aesthetic and bold statement, slate provides an earth-inspired element modern designers love. The clean pattern of subway tile allows for movement and texture that captures the eye. 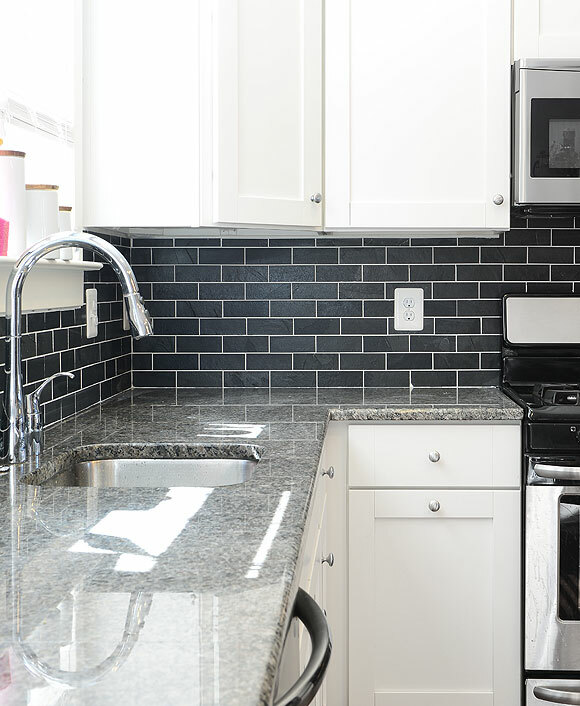 Not to mention, the consistent coloring and subtle shades of gray and black in this subway black slate backsplash tile add dark elegance to any kitchen. Black slate mosaic kitchen backsplash tile. Meshed Back black slate gives unique look to your kitchen. Easily match with white kitchen cabinets and gray granite kitchen countertop.